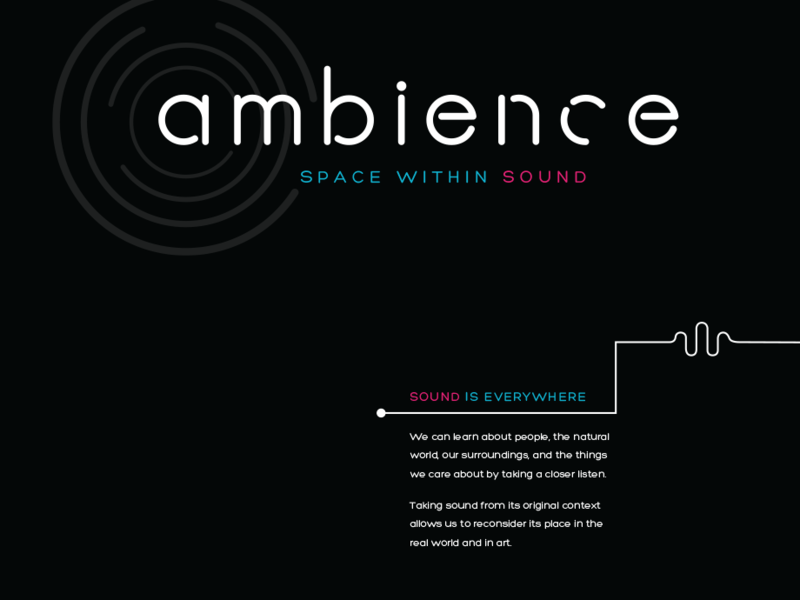 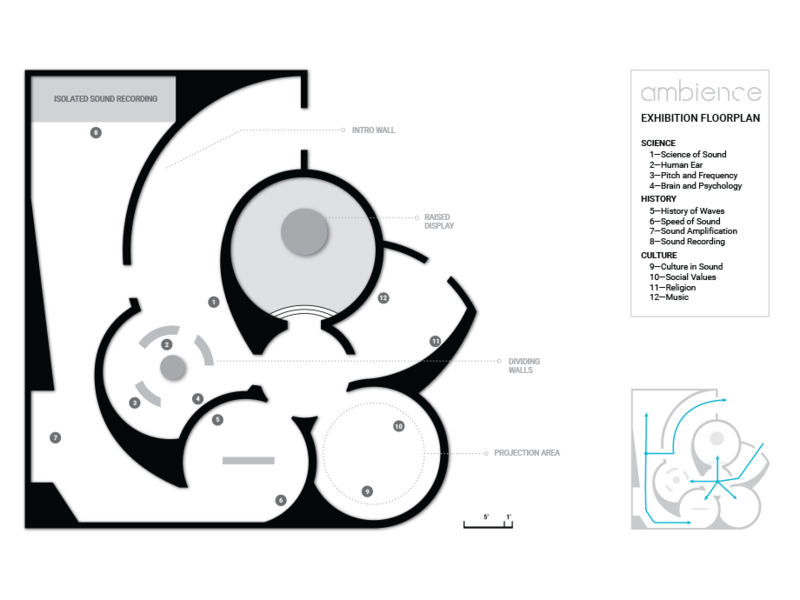 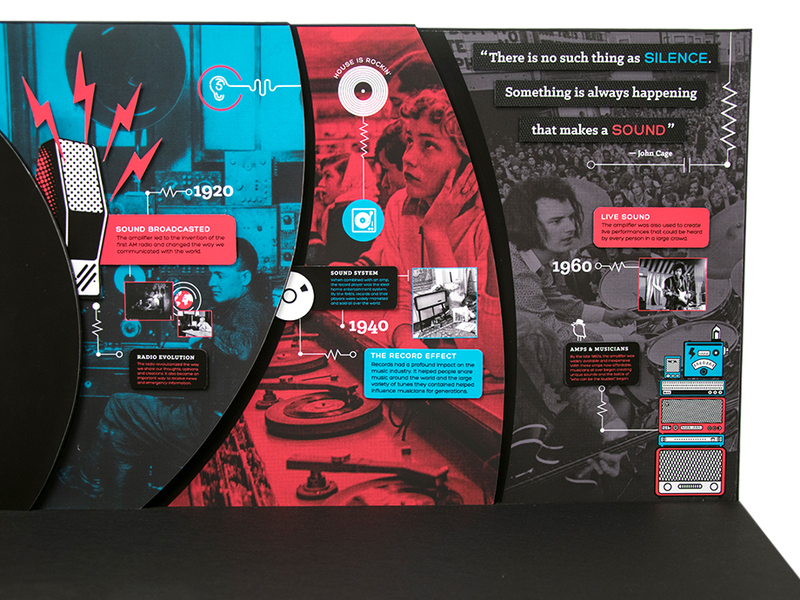 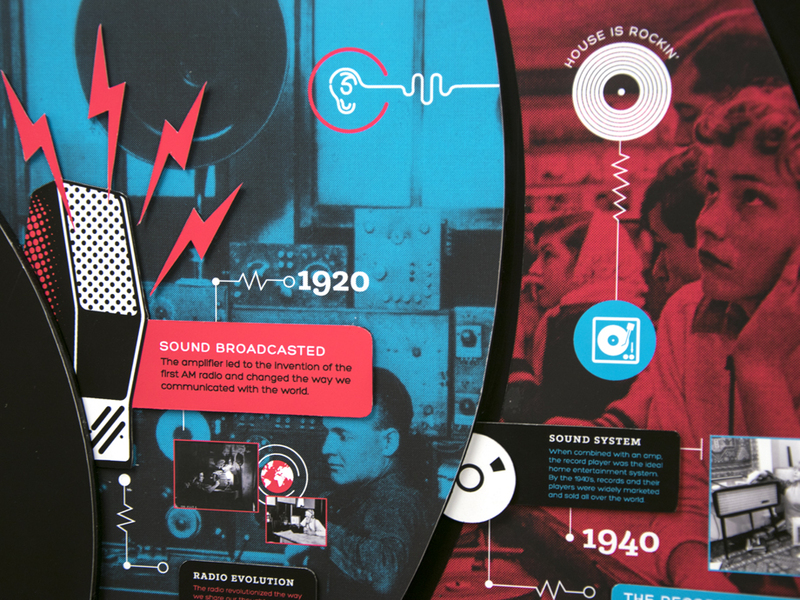 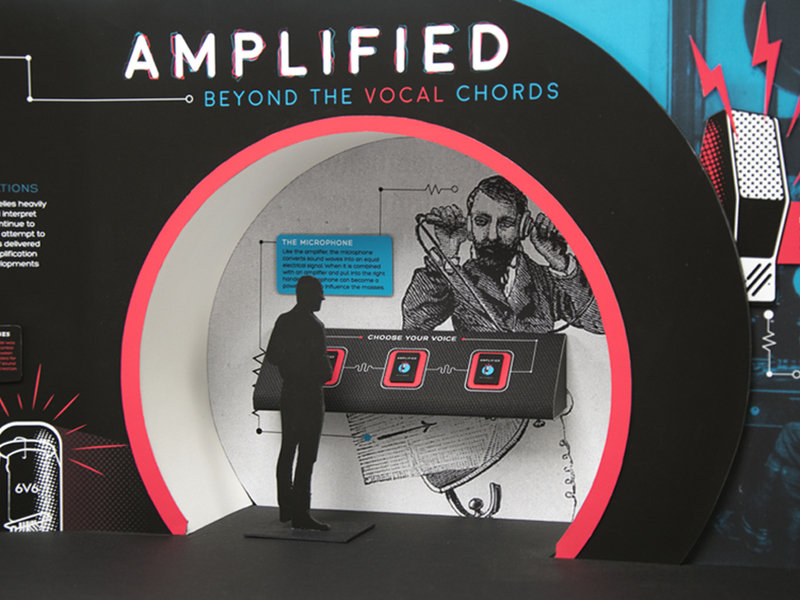 Amplified is a scale model of a exhibition focusing on the history and development of sound amplification. 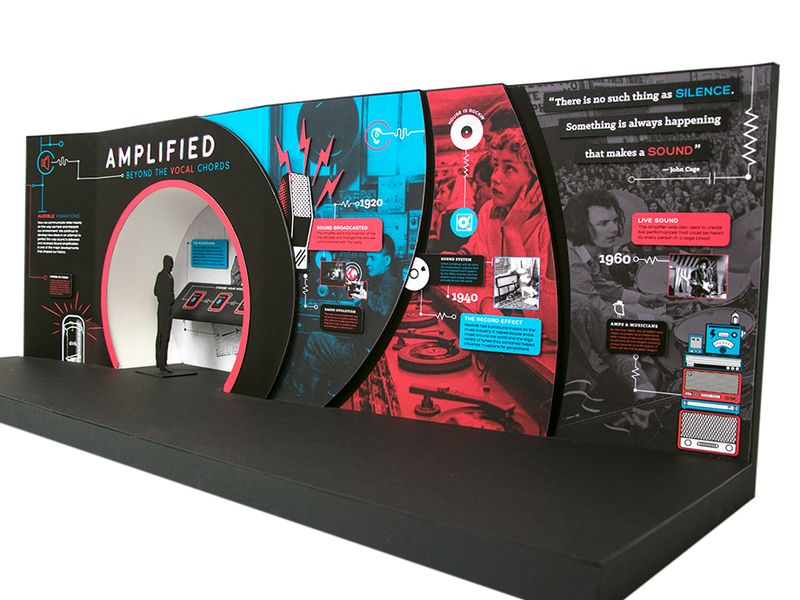 The space explores cultural and technological aspects of amplification in relationship to its impact on society. 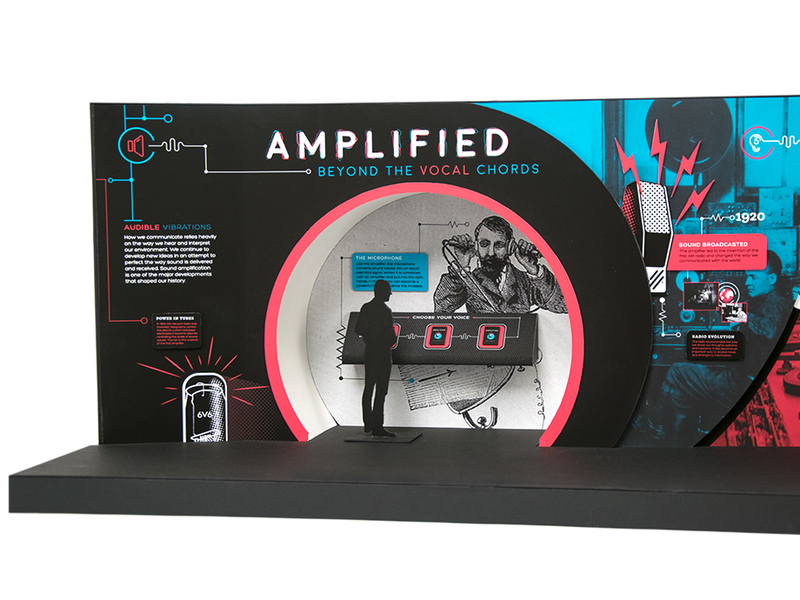 This particular wall exists as a section of a larger exhibition that ultimately conveys the meaningful and intricate relationship humans have developed based on sound.